Additive manufacturing holds great potential, but much work remains to be done for the Army to get to additive nirvana. 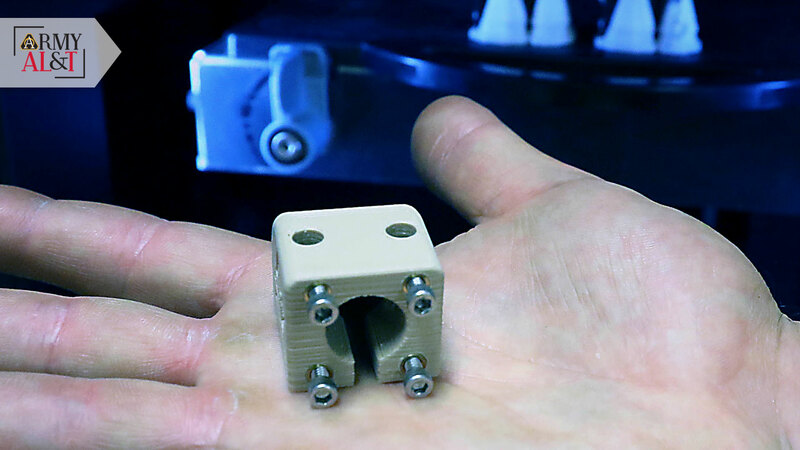 Additive manufacturing shines with promise. The discipline, also known as 3D printing, holds the promise of being the most powerful, efficient and versatile method of manufacturing, enabling a whole new world of products—complex shapes, compound geometries and compound materials that no designer could envision without it. It also holds the promise to speed logistics, reduce waste in materials and processes, and enable customization to a degree unimaginable with conventional manufacturing—and more. That vision sums up the Army’s effort to drive additive manufacturing technology forward and fulfill its potential to positively impact virtually every Army system. With aging and in many cases decaying organic manufacturing capabilities at depots around the country, the technology is a natural fit for the Army as it upgrades organic manufacturing. ARL is partnering with the National Center for Manufacturing Sciences in the AMMP effort. The center also launched its AMMP consortium. In pursuit of its additive future, the Army has stood up the Additive and Advanced Manufacturing Center of Excellence at the Rock Island Arsenal Joint Manufacturing and Technology Center, Illinois. There’s a robust community of practice on milSuite. Defense Acquisition magazine devoted its entire November-December 2016 issue to additive manufacturing. All of this means that additive is very much in the Army’s sights, but it has a long way to go to meet its potential. Invented in the mid-1980s by Charles Hull, who went on to found 3D Systems Inc., additive manufacturing is still very much a young field, especially when compared with the thousands of years that humans have been manufacturing. Conceived by Hull as stereolithography, the process still bears that imprint: 3D-printing design files have the designation “.stl,” for stereolithography (or standard tessellation language), but both are backronyms created to fit the initials. There are seven types of additive processes with their own pros and cons, and new methods within those process categories are being developed all the time. For the Army, additive is attractive for how it can improve readiness. But readiness is a broad category, encompassing logistics, sustainment, repair and much more. From buildings to motor parts to aerial systems, additive offers the possibility of creating nearly on-demand anything, on-demand anywhere. In theory, instead of traveling to an operational environment with tons of gear, units could go with just enough equipment to get established, then set up machines that could additively produce on the spot the equipment or structures they need from local resources. That—manufacturing at the point of need—is a major feature of additive. And while the Army does position additive capabilities in operational areas to produce parts and equipment at the point of need, mostly the Army is printing parts, plastic or metal, to enhance readiness and make the sustainment process more sensible and speedy, said Mike Nikodinovski, mechanical engineer and additive expert at the U.S. Army Tank Automotive Research, Development and Engineering Center (TARDEC). Many of these efforts are a matter of experimenting with the technology to see where and how it works best. That kind of exploratory effort is happening in various places around the Army—the U.S. Army Research, Development and Engineering Command (RDECOM) and its subordinate organizations TARDEC, ARL, the Edgewood Chemical and Biological Center, the Communications-Electronics Research, Development and Engineering Center, the Aviation and Missile Research, Development and Engineering Center (AMRDEC) and the Natick Soldier Research, Development and Engineering Center; in addition to the U.S. Army Corps of Engineers. The Army has already used additive to produce buildings, weapons, food and robots and to repair tank parts. Yet none of that really approaches the gleaming possibility of on-demand anything. It’s hard to overstate just how profoundly different additive is from conventional manufacturing. And that means much has to be done to better understand the discipline, to build knowledge for design and to develop the necessary training. While 3D printing makes additive manufacturing seem dead simple—and if you’re talking about simple objects that you’d create on a MakerBot, maybe it is. But for the kind of solutions the Army seeks, it is anything but simple. Which makes the training all that much more important. The U.S. Army Combined Arms Support Command and the Training and Doctrine Command have the Soldier side of the training effort, and the center of excellence and RDECOM have the civilian side. The Army still isn’t 100 percent certain where additive belongs, although it has lots of ideas. Nor is it possible to fully grasp what additive will be able to do in the near-, mid- or far-term. The discipline is, as Perconti noted, at a pivotal stage in its development. There is much the Army needs: materials developed for additive, and the design tools necessary to both limit the inherent possibilities and exploit them. “There are different levels of challenge within [additive manufacturing],” said Dr. William Benard, senior campaign scientist in materials development with ARL in Adelphi, Maryland, in an interview. “The Army’s near-term efforts are looking at readiness, and in research, one of the simpler things is to just design new materials that are easier to print with, more reliable to print with, [the] properties are well understood—that kind of thing as a substitute, sort of a more direct approach to support of existing parts. “One of the areas of investment that ARL is making to support this, and I know others in the RDECOM community are looking at it as well, is, really, new design tools for additive,” Benard said. Voxel combines the words volume and pixel to describe the smallest unit of a 3D digital object. There are also significant questions to be answered about the economics of additive. a smart article in Defense AT&L magazine in December 2016, “Getting AM Up to Speed,” lays out issues of speed versus cost in additive. The author, Stacey L. Clarke, then-deputy director of systems engineering for RDECOM at Aberdeen Proving Ground, Maryland, shows the tension between speed and cost. When time is the driver, cost is less of a factor. When cost and manufacturing reproducibility—both major concerns in Army acquisition—are primary drivers, things slow down. When is it worth spending $5,000 on a product to get it now rather than waiting six months for a product that costs only $500? “That’s a question that probably needs to have an equation,” Clarke said in an interview with Army AL&T. There are other variables to add to that equation, such as how critical the need is or what else might be dependent on the product. That equation might also need to take into account such variables as the speed with which developments are being made in the discipline. Another significant variable is where the Army puts its money. 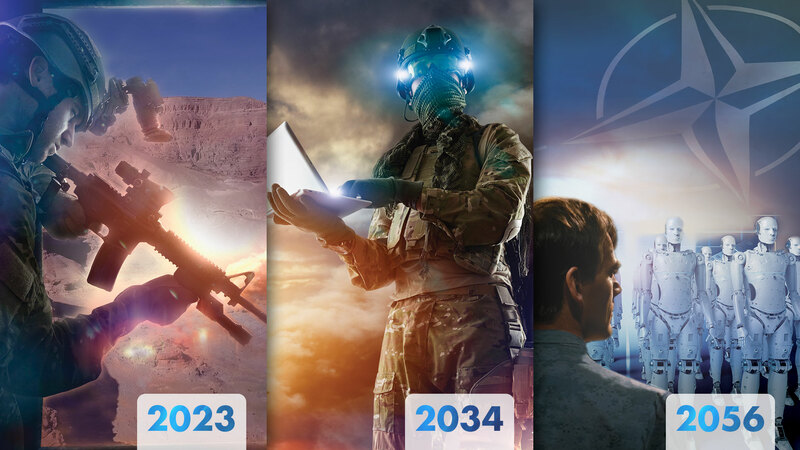 For the most part, the Army is focusing its efforts on its modernization priorities, and it will be up to industry and academia to develop the breakthrough technologies. The Army’s focus is what additive can do today. “We as scientists and engineers can talk about material properties and print bed temperatures and print heads and all this kind of stuff, but the senior leadership is looking at, ‘So what? How does this technology improve readiness? How can I keep systems and Soldiers ready to go?’ And that’s what we’re learning,” said Tim Phillis, expeditionary additive manufacturing project officer for RDECOM’s Armament Research, Development Engineering Center’s Rapid Fabrication via Additive Manufacturing on the Battlefield (R-FAB). R-FAB is essentially an additive manufacturing facility in a 20-foot shipping container. “There are lots of areas that the Army is looking into, and DOD and other organizations are looking into, for 3D printing,” said Dr. Aura Gimm. At the time Army AL&T interviewed her, she managed the Army’s university-affiliated research center program at the Institute for Soldier Nanotechnologies at the Massachusetts Institute of Technology, which recently produced 4D (the extra dimension is motion) flexible robots via additive. “It’s one thing to create decorative parts, but it’s something else if you’re trying to create a load-bearing or actuating parts that could fail,” Gimm said. The vast majority of the objects created with additive, Gimm said, are essentially decorative. A plastic-polymer mockup of a gear-shifting mechanism for a car design or a reproduction of a missing drawer pull may be nice to have, but the Army requires much more out of the military-specification articles it procures. Some, though, like Humvee gas caps and the junctional tourniquet created by the Army Rapid Equipping Force’s (REF) Expeditionary Lab (Ex Lab), are not a great deal more substantial in terms of their physical structure, but are considerably more useful than decorations. To get things to work as expected and up to Army standards is no simple task. AMRDEC has been working with General Electric Co. to produce parts for the T700 motor, which powers the Apache and Black Hawk helicopters. “It’s kind of like a demonstrator project for additively producing significant engine components,” said Kathy Olson, additive manufacturing lead in the Manufacturing Science and Technology Division of the U.S. Army Manufacturing Technology program at Redstone Arsenal, Alabama, in an interview. “There’s been some successes already with doing full builds of the parts,” she continued. The project is mainly geared toward gaining knowledge, she said, so the part won’t be part of a helicopter that Soldiers are flying. Yet. AMRDEC produces each part on a laser-powder bed machine, then goes post-production. Jeff Gaddes, mechanical engineer and Olson’s colleague at AMRDEC, described the production process for using the machine that produces the metal parts. “We spread a layer of powder over a plate. It’s very even, basically like a windshield wiper. So you wipe that powder across so you’ve got a nice thin, consistent layer of powder, and then your laser comes in, melts where it needs to melt, so you’ve got regions of melted powder and regions of unmelted powder. Then you drop your build-plate down a little, and then you wipe powder over the whole deal, so you’ve got fresh powder covering the entire bed,” he said. “In the end,” Gaddes continued, “you take it out of the machine, shake the loose powder off and you’ve got your final part. Then about 70 percent of the work is in the post-processing, removing the powder, post-[processing] heat treatment, machining it if necessary, removing it from the build plate—that type of work.” The metal dust that’s left can be reused. Having a finished part is not the same thing as being able to use the finished part, Olson emphasized. The part has to be qualified, a process that assures that the part meets quality standards. Qualifying a part is no simple matter. The materials have to meet the Army’s standards, and so does the machine that’s making the part. To qualify a part made with additive, “you’ll go through the process of qualifying your material and writing your material [specifications] for whatever material you’re going to use,” she said. “Then you have to qualify your machine and make sure it’s producing repeatable parts, and then qualify the process for the part that you’re building, because you’ll have likely different parameter sets for your different geometries for the different parts [that] you’re going to build. “It’s not like you can just press a button and go. There’s a lot of engineering involved on both sides of it. Even the design of your build-layout is going to involve some iteration of getting your layout just such that the part prints correctly,” Olson said. “That’s one of the challenges,” said Rock Island’s Flinn. “How much test and evaluation is going to be needed, and how willing are engineers going to be to approve a requested change without it? With manufacturers saying that AM powder metal is similar to casting in strength, the push for approval is only going to grow. Yet AM material specifications are still being developed, so the engineering community has little data to verify those claims, and testing each individual component will just delay acceptance of AM.” That doesn’t even take equipment variations into account. “Process and equipment variation in metal printing is such that certification of individual machines is pretty much a requirement,” Flinn said. The Army stood up its Additive and Advanced Manufacturing Center of Excellence at the Rock Island Arsenal Joint Manufacturing and Technology Center to establish the organizational structure, with the attendant policies, equipment and methodologies to immediately address Army readiness. It will also aid in the growth of additive manufacturing in the Army organic industrial base by developing the business case for it, according to Flinn. “Right now, the big win for additive manufacturing is tooling,” he said. “I’m talking about tool holders, fixtures, patterns, investment and injection molds, assembly aids; all that stuff that’s tied to traditional manufacturing that people don’t immediately think about when they think AM. Yet the time and cost savings in tooling can provide breakthroughs in meeting readiness,” he said. The beauty of this approach is that changes in the tooling process don’t require an engineering change. This business of figuring out where the additive sweet spot lies is one of the things that REF’s Ex Lab and RDECOM’s R-FAB are helping the Army understand, either inside or outside the battlespace, Phillis said. “What missions can we solve? We’re finding all kinds of things. Humvees are being dead-lined because they don’t have gas caps. Or the gas cap breaks. When they order it, they’ve got to sit there for 30 days or 45 days or however long it takes to get that through the supply system. “If we can produce it in a couple of hours, now we’ve got a truck that’s ready for use while we’re waiting for the supply system to catch up. And that’s the big piece that we always want to emphasize, that this is for emergency repair or temporary missions only. We are not doing field printing to replace” the manufacturer, he said. That can only be done to supplement the supply system and with the maker’s knowledge. Any time a Soldier wants to engage R-FAB, the part must be ordered through the supply system before R-FAB can produce a replacement. That shows where additive technology is useful. It shows not just how the discipline can work for the Army, but where it should work. R-FAB wants to know where additive manufacturing has intervened to help readiness. Conventional manufacturing has been around since the dawn of time. Additive has been here for about 25 years, and that shiny surface of possibility has scarcely been scratched. Right now, one of the major impediments to additive is physics itself. There is only so hot you can make a polymer, only so fast you can squeeze it out of a nozzle. “There are definitely physical limits [to additive manufacturing]. I can only pump so much laser power into a metal-powder bed without burning everything up. Inputting too much heat can cause a distortion and the whole thing just melts away,” said AMRDEC’s Gaddes. The big breakthroughs in additive seem most likely to come with new materials and processes and new design tools. “When we start designing our materials for additive manufacturing, that’s when you can really start to see some performance gains, I believe,” Gaddes said. Additive manufacturing will allow Soldiers deployed in remote outposts around the world to print virtually anything they need, from food to shelter to weapons, or even new skin cells to repair burned skin. Efforts are underway to create replacement body parts and custom-made medical devices. The replicator from “Star Trek” worked by rearranging molecules to create whatever was needed. We’re a long way from that, but the Army, as Perconti noted, is working to “develop the additive manufacturing tools that will leverage machine learning, information-fusion capabilities and the like to seamlessly integrate various designs, various digital manufacturing techniques and to bring things all the way from concept to final design in the components, quickly and inexpensively.” That’s the Army’s future. For more information on the Army’s additive center of excellence, go to https://www.dvidshub.net/news/297208/ria-jmtc-hosts-amc-summit-discuss-additive-manufacturing-way-forward. STEVE STARK is senior editor of Army AL&T magazine. He holds an M.A. in creative writing from Hollins University and a B.A. in English from George Mason University. In addition to more than two decades of editing and writing about the military and S&T, he is the best-selling ghostwriter of several consumer health-oriented books and an award-winning novelist. He is Level II certified in program management. This article is published in the January – March 2019 issue of Army AL&T magazine. Subscribe to Army AL&T News – the premier online news source for the Army Acquisition Workforce.